This long, bi-colored variety of radish isn’t called a “breakfast radish” for nothing. It is both delicious and cleansing when eaten in the morning. I chopped it into tiny pieces, mixed it with diced asparagus and dressed it with a slightly sweet yogurt sauce. But the best thing about this post: my daughter shot every single picture. For that I am grateful and proud. 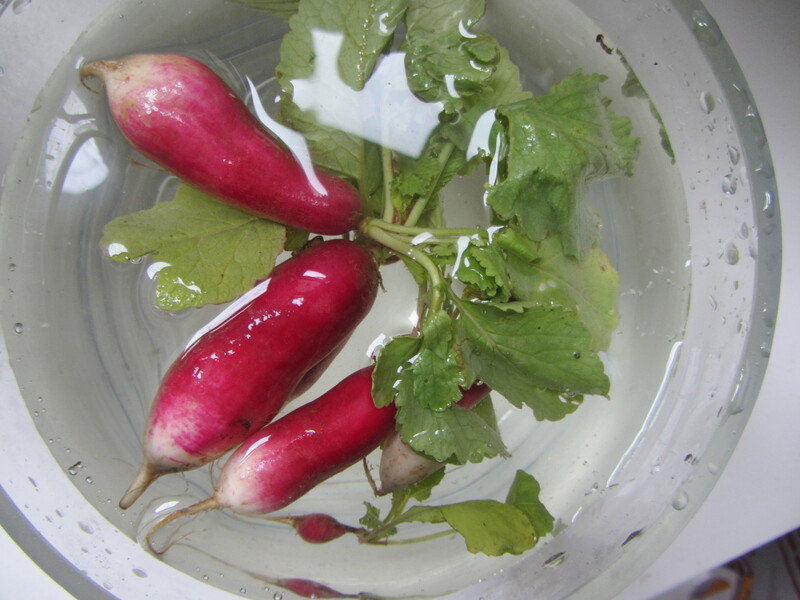 Process Wash the radishes well by immersing them in water. Remove the leaves and trim the bottoms. 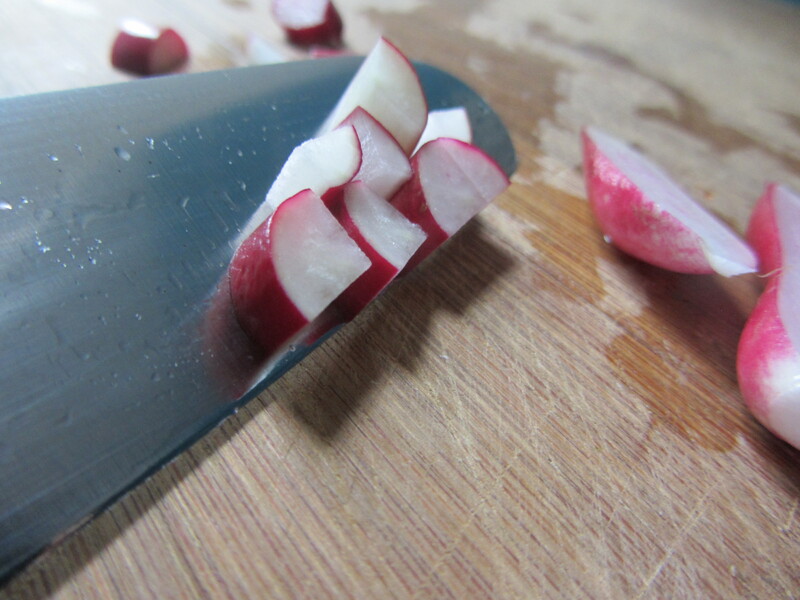 Chop each radish in half, lengthwise; cut each half into about 5-6 small pieces. Set aside. 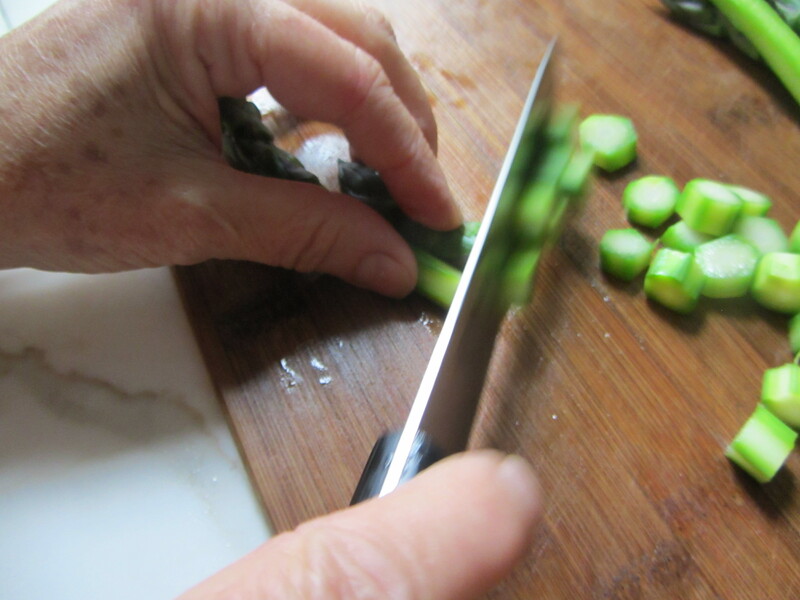 Use a paring knife to trim the tough bottom section (it is often white) and remove the tough outer skin of each asparagus stalk. Wash them well. Fill a large, wide skillet with water. Add a pinch of salt. Bring to a boil. Add the asparagus stalks. When they float to the surface (it should take about 30 seconds) remove them with a wire mesh skimmer. 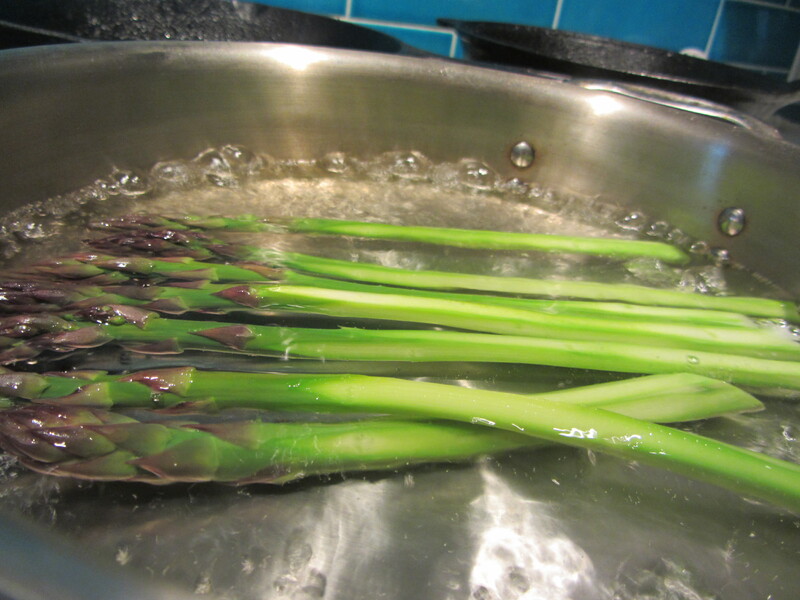 Allow the asparagus to cool. 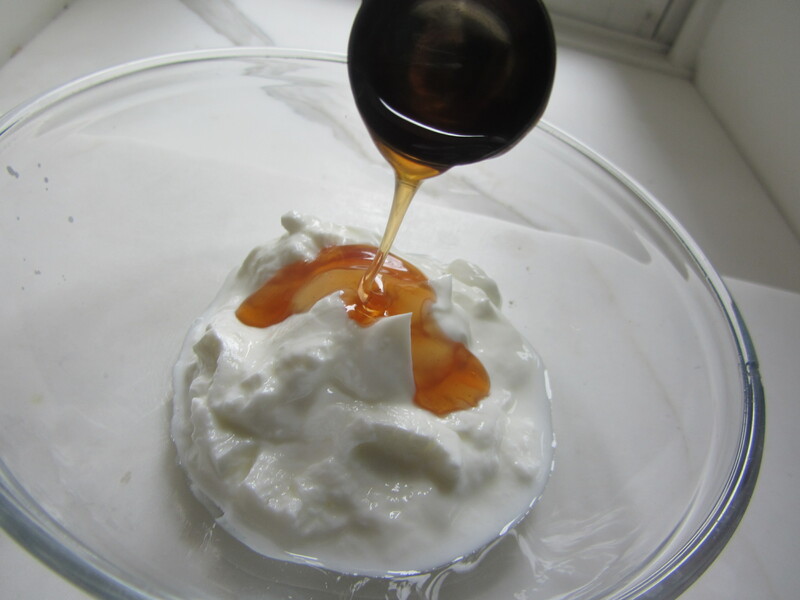 In the meantime, mix the yogurt and date honey together in a bowl. 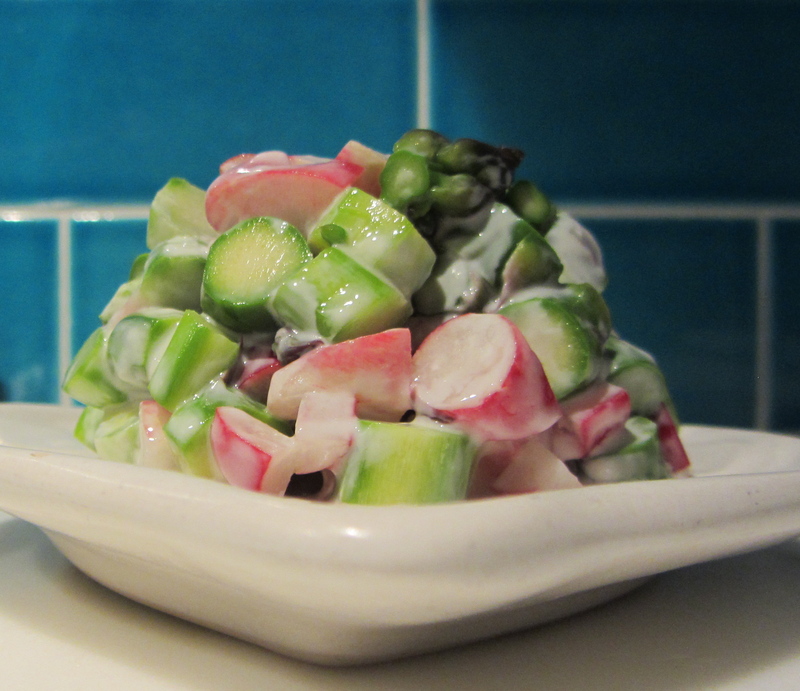 Mix with the radish in a glass or ceramic bowl. Add the yogurt dressing and mix well. Arrange on individual plates and serve.